A cozy winter evening visiting with family and friends just isn't complete without a softly glowing fire in the living room fireplace! 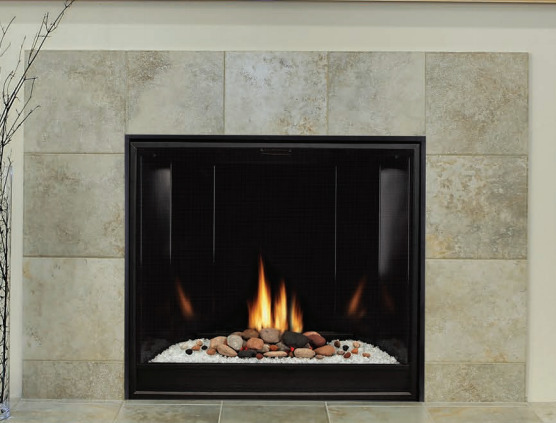 This Empire DVCC36BP32N Tahoe Direct Vent Fireplace offers the comfort of a bright fire plus the ease of gas ignition. No more using kindling and matches to get your logs burning brightly. Simply flip the switch and enjoy a warm glow. The Empire DVCC36BP32N features a contemporary 36-inch face, a porcelain liner, and a remote-ready millivolt ignition. The fireplace can create up to 26,000 BTU of heat. It does require a decorative crushed glass and rock set which is sold separately.